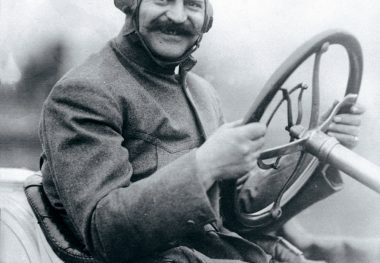 LOUIS CHEVROLET, born in Switzerland in 1878 and raised in France, beat Barney Oldfield and Walter Christie in a three-mile sprint with a Fiat soon after his arrival in the United States in 1905. 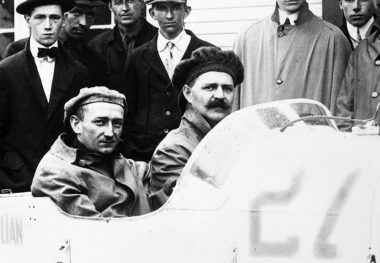 However, his career was interrupted several times when employers such as David Dunbar Buick felt he was too valuable as an engineer to risk injury on the track. 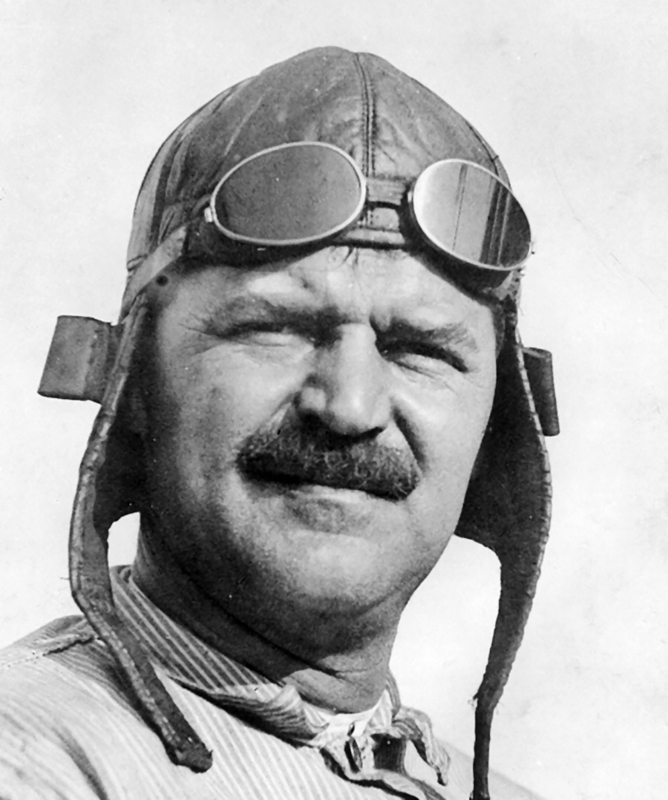 Nevertheless, Louis Chevrolet won ten National Championship races from 1909 through 1919, perhaps the most notable being the 395-mile Cobe Cup race in Lowell, Indiana, in 1909. He and his brother Arthur joined with General Motors founder W. C. “Billy” Durant in the formation of the Chevrolet Motor Car Company in 1911. However, in 1915 they left over a disagreement and sold all their stock. The brothers moved to Indianapolis and started building their own racing cars, but could not use the Chevrolet name. 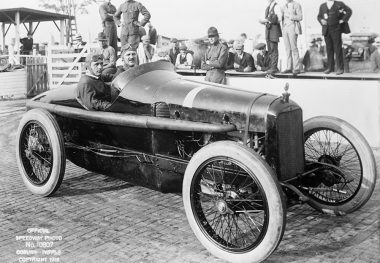 They were the first to win the Indianapolis 500 in consecutive years with a Monroe Special in 1920 driven by their younger brother, Gaston, and a Frontenac Special in 1921 driven by Tommy Milton. 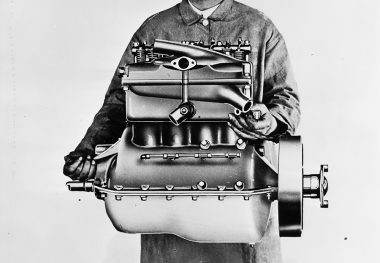 In 1922, they formed the Chevrolet Brothers Manufacturing Company, which produced a large number of single-seat “Fronty Ford” dirt track racers, which were basically a stripped-down Ford Model T outfitted with a Frontenac head.